You can't beat receiving a basket of fresh fruit! Bursting with goodness and vibrant colour our fruit baskets are a versatile gift suitable for so many different occasions. 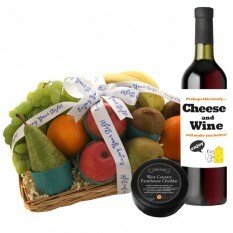 Combine fruit with cheese and biscuits and you have a comforting get well gift. Or mix your healthy treats with wine and birthday chocolates for a special surprise! We use high-quality wicker containers to pack our fruit baskets. 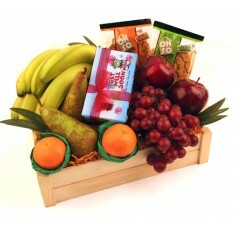 This means your loved one will be able to receive their gift delivery and display their fruit instantly. Brighten someone's day with a fruit basket of fresh picked healthy fruit? 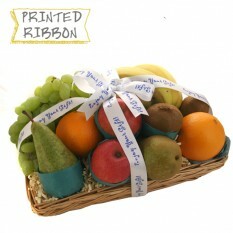 What better way to get your five a day than with a basket brimming with apples, pears and juicy oranges! 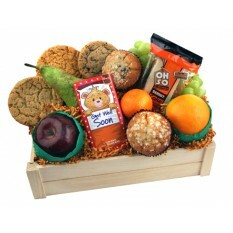 They are a thoughtful gift for a get well soon occasion or the perfect gift choice for a student. 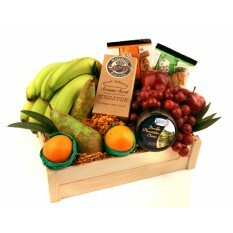 A basket of fruit and cheese is an excellent reminder from parents to children. It reminds them to remember to eat healthily! 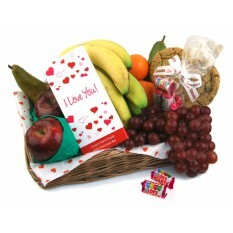 All our fruit baskets are delivered the next day. We use a 24-hour delivery service so that they arrive in the freshest condition. Weekends are excluded unless you have selected our Saturday Delivery Service. Delivery can also be to your office. 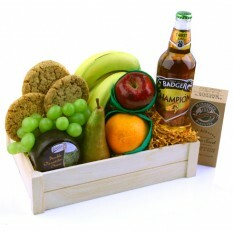 Why not have a fruit basket arrive to lift the spirits of your staff and start the working week the healthy way. A colourful array of fruit can be displayed in a wicker basket and ready for staff to snack on for the rest of the working week providing the feel-good factor in the office. Bought as a present for my daughter - had mailed to her direct. She is Thrilled with the quality & the presentation of her basket. Thankyou so much. J.G. 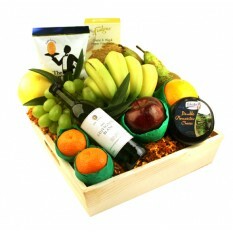 Thanks for this brilliant fruit basket- I sent it as a new home gesture and it was very well received! Great way to buy especially the unexpected occasion gift. Delighted with both product and speed of delivery.